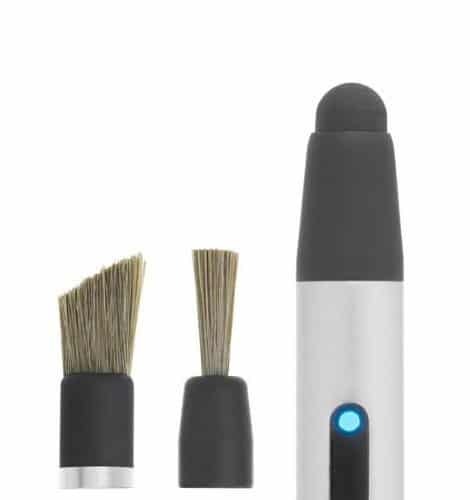 Two realistic brush tips for the Pogo Connect stylus, the B1 (straight) and B2 (angled) brushes combine with ArtRage's realistic oils to make you feel like you're using real paint. Compatible with all Pogo Connect models (The Pogo Connect 2 is fully supported by ArtRage for iPad). These realistic fibre brush tips are compatible with all Pogo Connect models. The stylus is not included and must be purchased separately. B1: This straight brush unlocks the pressure-sensitive painting simulation capability of Pogo Connect. It can be used as-is or cut to your preferred shape and length. For maximum pressure response, be sure to configure your Pogo Connect for this brush using our Pogo Connect app. B2: Like the straight brush, this angled brush unlocks the pressure-sensitive painting simulation capability of Pogo Connect. It has been shaped to allow easy control of the number of bristles contacting the display. For maximum pressure response, be sure to configure your Pogo Connect for this brush using our Pogo Connect app. ArtRage for iPad supports Touch Rejection, customizable shortcut button and pressure sensitivity in the Pogo Connect 2 stylus. Check out the B1 & B2 brush tips on Amazon.